A rainy day put me in the mood for pancakes so that’s what we had for dinner along with the usual accompaniments. If one were to look through my side dish section of my Recipe Index you would find numerous recipes for roasted vegetables. Over time we’ve found that many vegetables that I once thought were nasty only needed a better preparation to make them pretty darn awesome. Asparagus is certainly one of those. Rinse asparagus and shake dry. Snap root end off each spear and place on a double layer of paper towels. Cover with another layer of paper towels and pat dry. 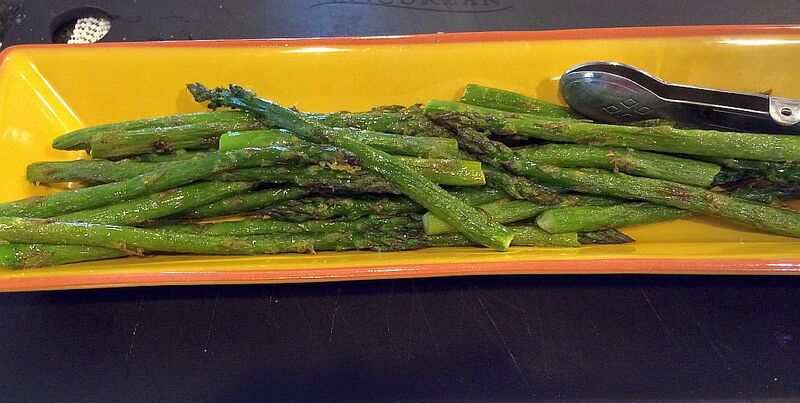 Transfer dry asparagus to a bowl and drizzle with 1 tablespoon oil. Arrange in a single layer on a rimmed sheet pan. Place on the middle rack of the oven and cook for 5 minutes. Toss asparagus and redistribute into a single layer. Cook for 3-4 minutes until slightly darkened. Toss with remaining oil, lemon zest, a squeeze of lemon juice (mind the pips). Arrange on a serving plate, sprinkle with salt & pepper to taste and serve. We love the complex flavors in this simple dish. 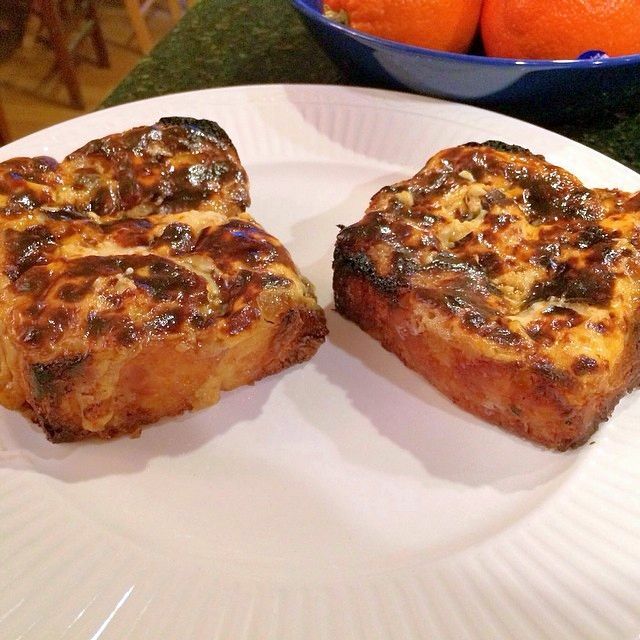 Made in advance and reheated, or served hot from the oven, it is filling and satisfying. 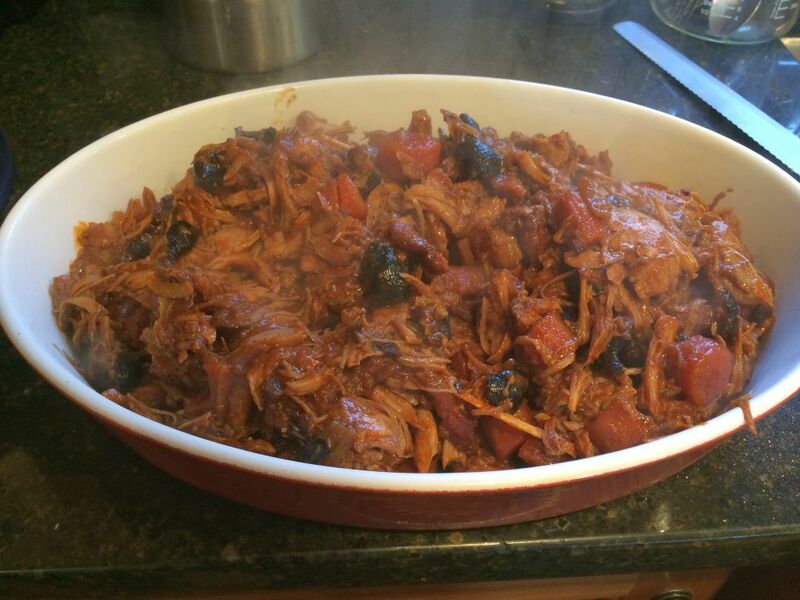 See the notes for info on making this in advance and reheating. This recipe is based on one by Dave Lieberman. My mom and sister joined us for Easter lunch today. With a small number such as this a full ham dinner seemed a bit much. After batting a few ideas back and forth Ted and I settled on an old favorite. Meat integration was in full effect tonight with our vegetarian friend away and a smaller number of folks around the table. I still dirtied half the dishes in the kitchen making the meal to make this “simple” casserole. Just filling in a missing Saturday Night. I made this one weeknight when cooking wasn’t really something I wanted to do and comfort food was what I craved. We enjoyed it with some leftover fruit salad. It hit the spot. This easy-peasy recipe is a ripoff, with some modification, from Jamie Oliver. A link to his recipe is in the notes below.